I think most of us want better health. We just don’t always know where to start. And we’d certainly like to keep it simple and doable. 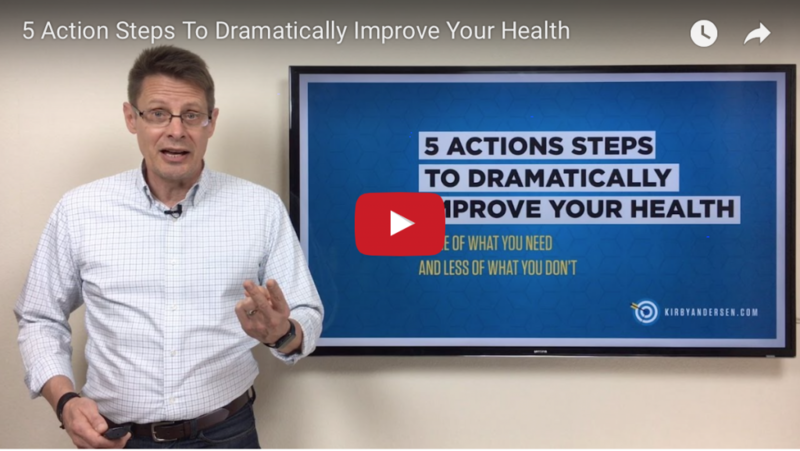 And that’s just what I’ll give you in this week’s video and blog post: 5 Action Steps To Dramatically Improve Your Health. Simple, doable steps that you can begin doing TODAY without any major investment—yet when done consistently, will make a HUGE improvement in your overall health. You’ll learn how to simply increase more of what you need and minimize what you don’t. And, yes, I’ll identify those 2 silent killers that are on the rise—and how you can head them off easily.